© 2015 by CAKE QUIRK. Powered by Blogger. I really have a thing for S'mores. Ever since I was little, I'd always sneak out and try to get some marshmallows and roast it on our stove. I just love the smell, the crisp burnt edges, the flavour, the texture.. everything! It was love at first sight, I tell you. It was my childhood, and I would secretly do this while my parents were away, they'd stop me if they knew. 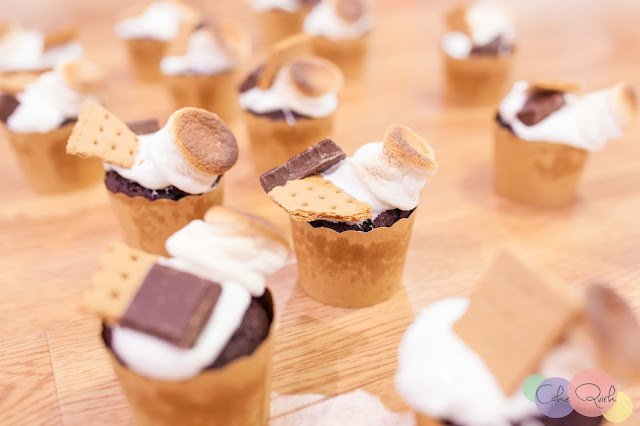 Recently, S'mores have been suddenly blowing up everywhere! It's as if people have just discovered it all over again and it's crazy! But I'm seriously loving it! I could look at my feed full of S'mores all day and wouldn't complain. Gimme some S'more lovin!!! 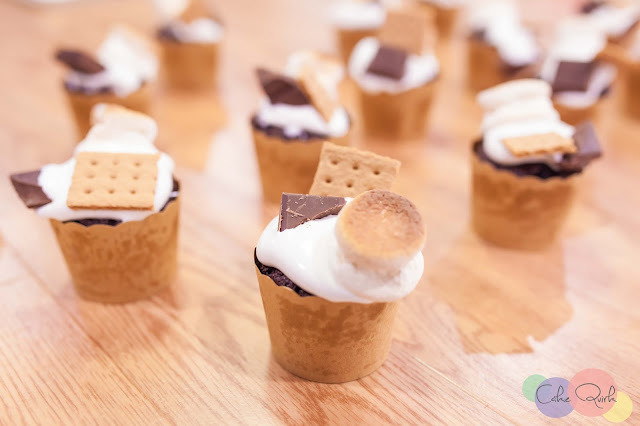 So without further adieu, here is the recipe for my S'mores Cupcakes!